Well all of a sudden it is that time of year again!!!! I have started getting things together for Christmas-gifts & cards anyway. I plan to do some shopping in Winter Harbor this Thursday night-December 5th. It is an excellent time to help out artisans and small business while also getting some wonderful gifts. Not only shopping but the Woman’s Club is also hosting a chilli dinner-it is always delicious and homemade!!!! An evening of holiday cheer that I hope will build up my enthusiasm. Not sure when the house will be hit with decorations. 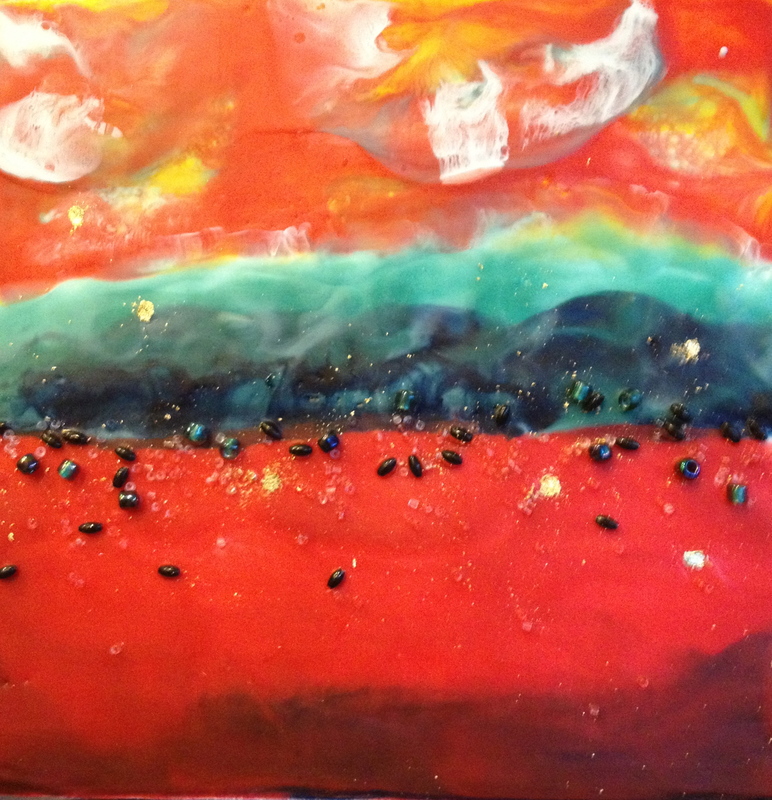 I have begun to pack up the wax, no more encaustic painting until next summer. I will miss this medium but Florida is not a great place to do this work. Hope to see a lot of folks in Winter Harbor on Thursday.